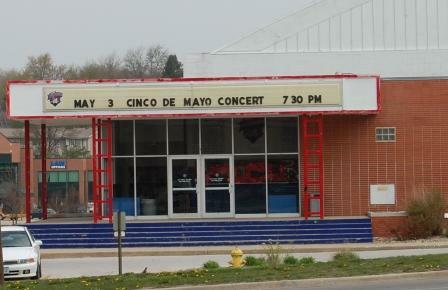 I had to chuckle when I drove past a local arena and saw the sign advertising the Cinco de Mayo concert... on May 3rd. Evidently, somebody neglected to tell the planners that "cinco de Mayo" is Spanish for the 5th of May. Oh well. I'm sure the concert content is great, regardless of which day it occurs. Since I mentioned Dead Lines.......back at my previous job, I had absolute deadlines. Everybody did. What was the point in getting a project finished too early and then something, at the last minute, changes the outcome and have to redo the work? My view was/is to just wait until all the facts were in, and then do the job. So assess your tasks. Think about the predecessor and successor relationships. Look at impacts and resources. If your task needs to finish on a specific date, then don't try to overachieve. (Mind you, don't procrastinate either.) Just get it done... right... and on time. We made our annual family trek to the Iowa State Fair today. You non-Iowan Philistines may scoff all you like, but the event is listed as one of the 1000 Places to See Before You Die. It really provides a good cross section of central Americana, and celebrates the agricultural roots that has populated Iowa with great down-to-earth people. The core of the fair is the food. You can virtually get anything deep fried and/or on a stick (yes, including "beer on a stick"... just don't ask). And, like many other fairs, there is a robust midway with every ride imaginable that will thrust your body in every direction imaginable. 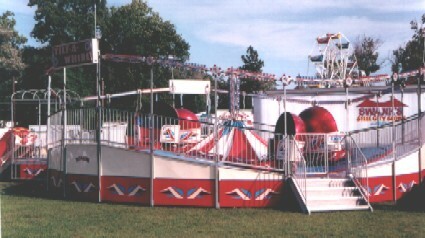 Now, for the "fair neophyte," one possible scenario might be to try the peppermint-ice-cream-hot-fudge-oreo sandwich (a Bauder's favorite), a corn dog (of course, this is Iowa after all), deep fried cheese curds, deep-fried Twinkies, and the foot-long polish sausage... then go to the midway and ride the Twist-a-Tilt-a-Whirl-a-Drop-a-Spin. We adults know better - or should know better - than to put our bodies through a culinary train wreck and then go ride on something gravity defying. Full stomachs and centripetal force do not mix well (or is it centrifugal force? Just don't tell my high school physics teacher I'm having this internal conflict). Yes, project managers do that all too often. We'll spend weeks or months defining a robust work breakdown structure, and we're proud that we have inventoried every task for our project. But when it comes to sequencing, we just seem to throw up our hands and say, "Whatever..."
There are three primary types of task dependencies, the most common being finish-to-start. We all know that one. Finish Task A before you start Task B. Simple enough. More advanced project managers will venture into start-to-start and finish-to-finish task dependencies, where things must converge either at the beginning or the end of a set of tasks. Again, not rocket science, yet still complex enough to befuddle beginners to project planning. There are other types of dependencies, but I won't bore you with them here. Suffice it to say that these three are the most commonly used in projects (when dependencies are used at all). The tricky part comes in when you consider whether your dependencies among tasks are hard, resolute, etched-in-stone, cannot budge sequencing... or whether there's some "soft-and-squishy give-and-take" (the technical project term for "gee, I just wanted to put one task in front of the other but there was little logic behind it"). This is the important part where you pull in the project stakeholders who helped you identify the tasks in the first place and ask them to help you also sequence those same tasks. Make the sequencing logical. Add in date constraints (only as necessary). Play with the lag and lead times. But make sure everyone is nodding his or her head that you've sequenced the tasks in the right order. Otherwise, you eventually will be grabbing for the project-barf-bag on the midway of accomplishment.